Sometimes we have posted our favorites from the prior year in a blog post. Last year we changed the whole website and devoted it to our trip to Alaska in 2017 (See the Land of Salmon pages). This year I (Boyd) was digging through the archives and had a thought: (Reader inserts wisecrack here) I should share some of the images that were my favorites of all-times. These would be images I had made, and I would not constrain the selection by subject or date of origin. Shortly after I had this not so novel idea, I read a blog post that said everyone should have their “10 best” as an opening gallery. Although I thought that was too restrictive on every photographer’s web design, I thought it might be a fun exercise to try and pick out 10 photos. It turns out selecting only 10 photos was very hard. Getting the top 150 wasn’t too bad. Cutting that in half to 75 was a lot tougher. After that it started to become an exercise in rejecting images that I liked for a lot of reasons. Eventually I got to about 35 photos and got stuck. Do I have too many flower pictures? Where is the air tanker photo? Should I use the puffin photo or the Lincoln’s sparrow? Which bear photo - cute? fierce? What about the hyenas? Probably too graphic. What about the seashore? Water abstracts? Leave out composited images? Put in composited images? How many in any one category? Some color? Some black and white? You get the idea. In the end I settled on 15. Kathy gave some input when I was stuck but ultimately the choices, as are the images, are all mine. So I picked 15, slept on the project, rearranged and picked a slightly different 15, and eventually settled. I doubt you would think these are my 15 best, but they are my 15 favorites. At least as of today. Tomorrow? Well the weather forecast is interesting, maybe there will be a new image to add to the mix soon. This is the image that really gave me hope for my photography. This image won Honorable Mention in the LA Times Home magazine photo contest back in the 80s. Majestic clouds, the texture of the sandstone walls, yes Ansel Adams influenced me as he has millions of other photographers. I still love his work, and I love this classic view of southern Utah. 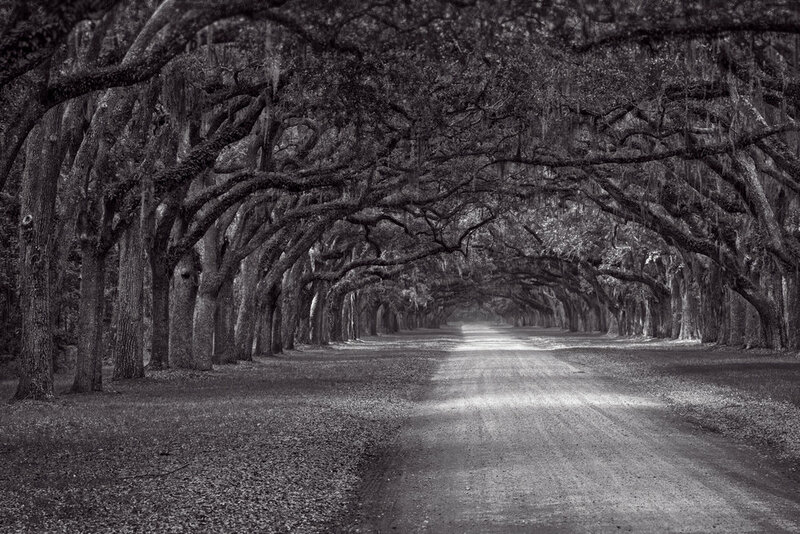 Another classic monochrome, this one is at Wormsloe State Historic site near Savannah, Georgia. It’s a classic location, with wonderful textures and a ton of history hidden behind those amazing trees. P3 Orions, and a Douglas DC-7 (I think ,based on the four-bladed prop) wait on the ramp at San Bernardino Tanker Base during the Old Fire. I saw so many jaw dropping sights that I didn’t have time to catch when I was working, but this is still one of my favorites for how T-25 is framed between the props. The Orange. The Blue. The texture of the rope in the crab pot. Do inanimate objects wait? Does it long to go back to work? Does it miss the kiss of the cold Oregon Pacific? This location has become a cliche for Iceland. But the ice and the black sand draw you in. The fleeting nature of the ice means every day is different, the scene changes often, I could go back again and again. I love the curve of the water, the blue from a rainy day sky, and the texture of the rock. Although the water looks soft, we know the rock eventually loses to the river. Liquid defeats solid. But for now it is a battle. The soft pink of the petals with the last drops of rain, against the dark greens of the forest floor. Two months later this area was in or near extensive wildfires. But in this image, the rose and two rain drops live on. This is another image where the textures are palpable to me. Can you feel the roughness of the kelp leaf? Do you want to pop the flotation bladders? Can you smell the salt air? Maybe hear a Western Gull squwacking in the background? The redwood twig provided shade for the fern. Both are remnants of an ancient world. I like the contrast of the brown twig with the green fern. All the lines in the twig and the fern leaf that mirror each other, are nice too. An African Lion gazes out of frame. What does he see? Lunch? An interloper he is going to go chase away? The future? Yes I also like the texture. I am a sucker for a good texture. There is no doubt what the gaze of this Alaskan Brown Bear is focused on. Lunch. Sushi. Salmon. I didn’t realize it until I started this exercise but so many of my favorite animal images have the animal looking out the left side of the frame. Don’t know, don’t want to know, what that might mean about me. 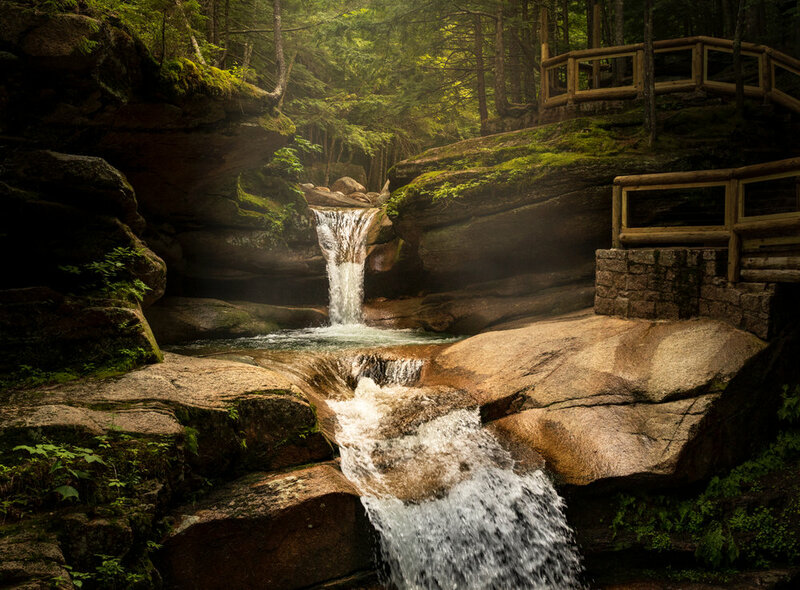 I love the filtered light beam that highlighted this little stream and its waterfalls. The light is soft; there is no one around. To me it feels like something from a fairy tale. Or maybe a painting by JWM Turner or from the Hudson River School of painters. Kathy and I watched this thunderstorm for several hours. And we had a plan for capturing these ovens in the evening under the stars. I think it came together wonderfully. In this image some might say there is too much sky, but in Nevada, there is almost always a lot of sky. And texture. I’m detecting a trend here. 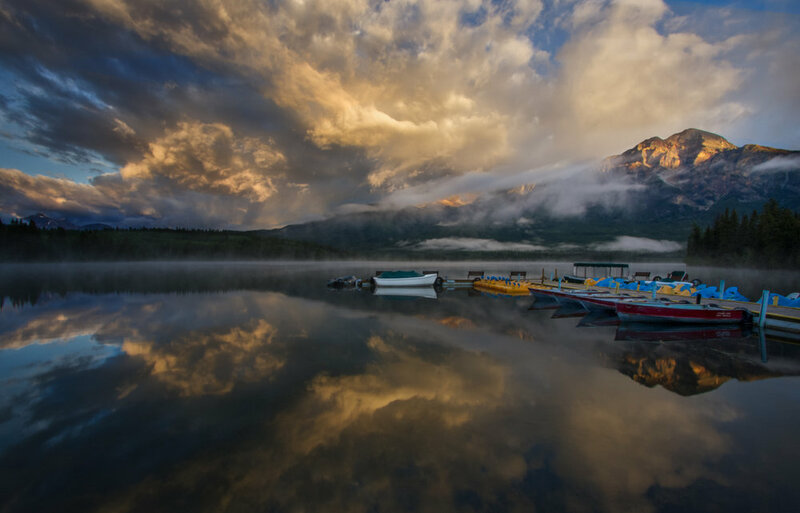 More textures, more beautiful light on magnificent clouds reflected in calm water with spots of bright colors on the boats. This one was an easy pick. So those are my currently favorite 15. I hope you stuck through this long post and enjoyed them all. A new year, a new hope.